As if it wasn’t just a few days ago we here at RightMi.com learned of Sen. Rick Jones creating carve-outs for his fellow retired LEO brethren. 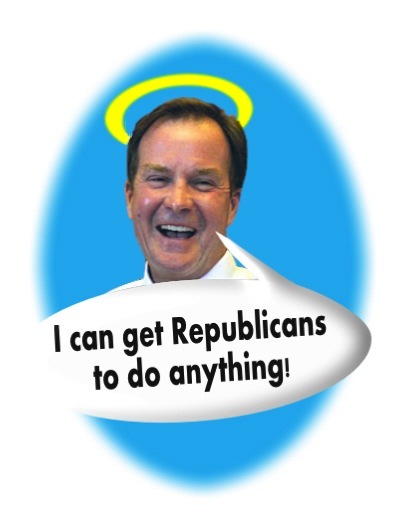 Today, we learn that Sen. Jones has taken it upon himself to gift a little extra in the till to those beloved public sector retirees in Schuette’s Office. Yes, unanimous vote so, it must meet Lansing’s bifarceisan two-party standard. Still have doubts about the legalese jihadi cabal ruling supreme? Just look no further than their former revenue recruiting LEO who champions a wallet lining statute. Makes one wonder if it’s an old prosecutor’s office bootlicking reflex or, just riding out of office in a payola bang?